Thanks, that's so nice to hear that you're finding it useful! 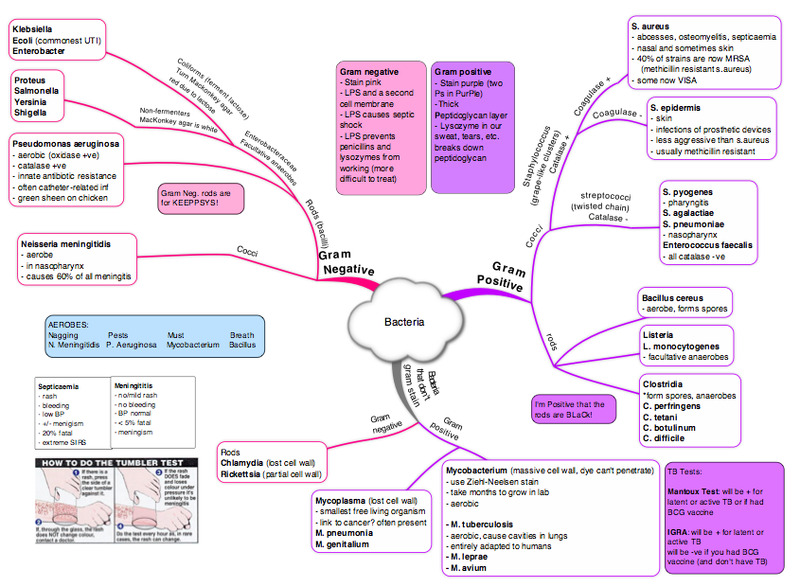 I looked at a few apps to make mind maps and found that MyThoughts was the easiest/prettiest! The notes and summaries are truly a work of love. you're brilliant!!! I need to find the program you're using to draw these out. I am 12 months of being a consultant...I have learnt about bugs countless times for countless exams...this is just THE best way I have seen it presented! Are you using the software 'inspiration' for these maps? I use a program called MyThoughts! This is really helpful, any chance of a high res / print quality version like some of your other posts? I loved it! It's a very nice work. Could you send it to email too? I would love to print it to use as a hand consult before my test hhehe my email is ricardo.c.moura@gmail.com .. Thanks!! useful, but the labels are tiny. Thanks for sharing. This is amazing! Is there any way i can save it? Awesome! Everything explained in a nutshell! I was wondering if, perhaps, you could also make an another resource explaining the pathophysiology caused by the different bacterial infections, with their management and laboratory investigations? Nice work, concise and thoughtful. Can you email me high resolution at mbpatel101@gmail.com? Thanks. How cwn i save this ? - Great notes from Tumblr.